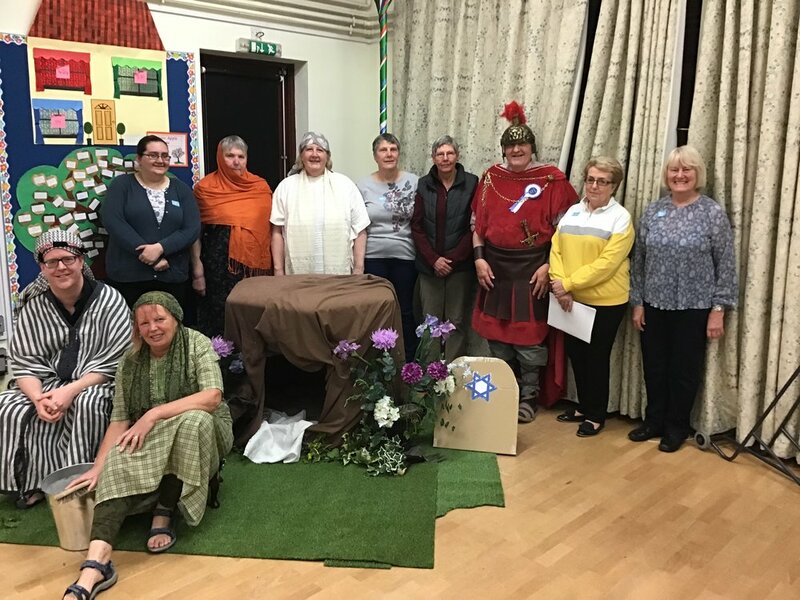 A group of volunteers from across the Benefice have donned costumes and gathered props to tell the Easter story to the children of our First Schools from the perspective of by-standers to the story. Starting with the woman who saw Peter in the courtyard of the High Priest’s house and ending with the Gardener who witnesses the Resurrection of Jesus on Easter Sunday, we take the children through a series of scenes with ‘living statues’ who come to life and tell their story. This has been a great opportunity for members of different churches in the Benefice to come together and create something a bit different, with lots of people volunteering to make costumes, create props and scenery and write scripts. And then we have our fantastic actors, bringing the story to life. Well done everyone!